What’s the story: Eight-year-old Alton is snatched from the cult who worship him as a messiah by his father Roy. Pursued across Louisiana by cult members and the US government, Alton demonstrates otherworldly abilities. 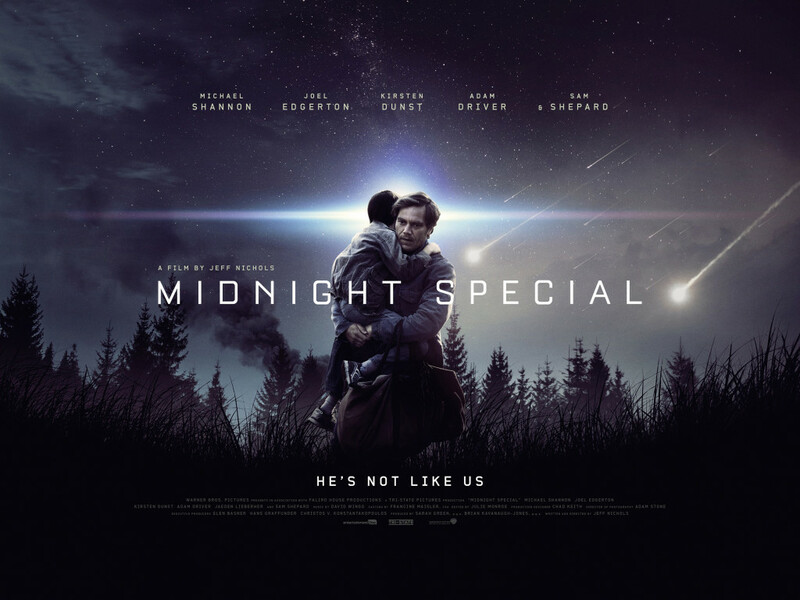 What’s the verdict: Proof that a chase movie coupled with genuine emotion and well-drawn characters can steady even the wobbliest premise, Midnight Special is the most enjoyable film that essentially makes no sense you’ll see this year. Writer/director Jeff Nichols, who handled the possible-supernatural with such confidence in 2011’s Take Shelter, never quite decides exactly what powers his pre-teen maybe messiah possesses. 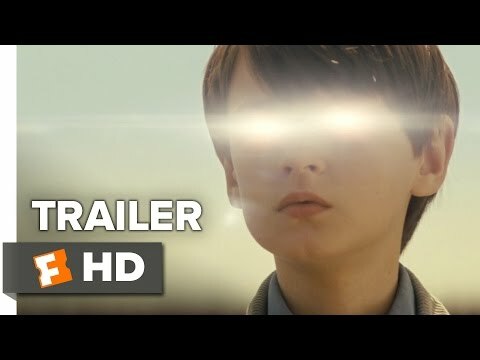 No spoiler to reveal Alton does have formidable abilities; publicity materials are awash with Jaeden Lieberher’s Alton sporting impressive glowing eyes and hands. But, when watching Midnight Special there is the feeling this is the version with which Nichols was least dissatisfied, and other attempted edits had been either more explanatory or more opaque. This leads to sizeable plot holes, a sense Nichols includes certain scenes for emotional heft rather than story logic and a climax that relies on willful stupidity to maintain tension. Yet, Nichols is a director of genuine talent and even if his Starman/Close Encounters of the Third Kind mash-up is not a resounding success, it remains thoroughly entertaining. The cast’s note perfect performances hold the attention, particularly the ever-reliable Shannon as Alton’s pa, mixing tenderness and desperation, working well with Lieberher’s otherworldly cuteness. Nichols wrote the film after becoming a father and his wonder and fear at the role is all there in Roy. Edgerton and Dunst as Roy’s bestie along for protection and sad-eyed wife also fit Nichols’ world well, as does Driver as a government agent modelled on Francois Truffaut’s character from Close Encounters. Rich cinematography courtesy of Nichol’s regular DP Adam Stone transforms Louisiana into a twilight wonderland. A nocturnal shot of SWAT team driven school buses come to collect cult members for questioning is worth the ticket price alone. Channeling Spielberg’s The Sugarland Express as much as the master’s more extraterrestrial outings, Nichols keeps the chase momentum up, punctuating tension with moments of wonder and peril. A satellite brought crashing down to earth by a tormented Alton or an out-of-the-blue shoot out demonstrate the director’s deftness at juggling different tones. Not perfect then, but after this, Mud, Take Shelter and Shotgun Stories, Nichols has proved himself one of the most versatile, unpredictable and exciting directors on the scene.